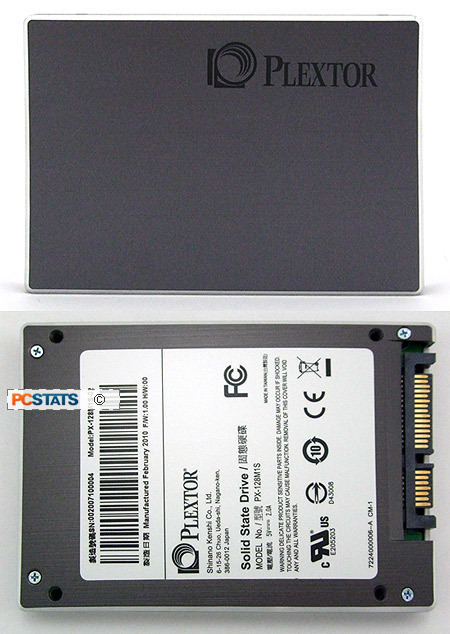 Abstract: The PX-128M1S is a 2.5-inch, SATA 3Gb/s drive, which makes it compatible with most notebooks. It can also be installed into a desktop computer with use of a mounting bracket (not included). Conventional rotational hard drives have been stuck at the same 7200RPM speeds for years now, lagging behind and bottle necking the performance of your CPU, RAM and chipset. If you're still using a mechanical hard disk drive, pull out a stopwatch the next time you boot up Windows... Listen to that chattering noise as the disks read/write heads slog across platters of data, struggling to do the thousands of IO operations necessary to boot up. While you sit around waiting for your PC to respond, consider that an SSD can fix this problem. Solid State Drives can noticeably improve overall computer system responsiveness and load times. Moving from a dual-core to a quad-core processor won't make much of a difference when you're just surfing the web, and upgrading to a faster videocard won't make a big difference outside of 3D games, having a faster disk drive is something you'll notice all the time. Even simple things like opening up windows in Explorer can be sped up if Windows is running of an SSD. Plextor, best known for manufacturing optical drives, has finally stepped into the SSD market with the PX-128M1S, a 128GB drive that uses multilevel cell (MLC) NAND flash memory. 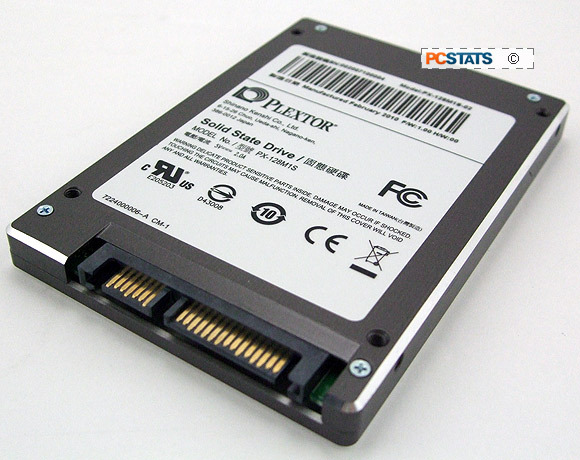 The PX-128M1S is a 2.5", SATA 3Gb/s drive, which makes it compatible with most notebooks. It can also be installed into a desktop computer with use of a mounting bracket (not included). Retailing for around $430 CDN ($380 USD, £250 GBP), the Plextor PX-128M1S is definitely an investment - after all the price GB is $3.35 compared to a 2TB HDD which runs around $0.16GB. 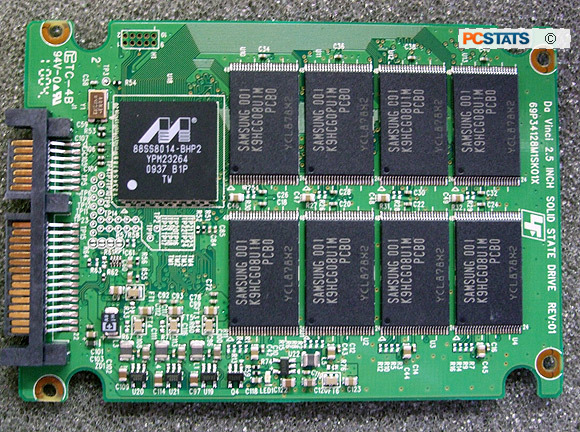 Although SSDs are an investment to consider carefully, even value oriented computers and netbooks can reap the benefits of the extra speed solid state memory imparts. With a capacity of 128GB, the Plextor PX-128M1S is well-suited as a boot drive. Unlike 64GB drives which can be a little tight in that regard, you'll have enough space to install Windows, everyday applications like Microsoft Office or Adobe Photoshop CS4 - all of which will see a nice boost in performance thanks to lower latencies. Large collections of media files like MP3s, JPEG photos and DVD rips should be stored on larger, less expensive conventional hard drives. Since SSDs have no moving parts, the Plextor PX-128M1S also draws far less power than a conventional hard drive, 0.75W power draw while reading and writing and 0.25W draw while idle. 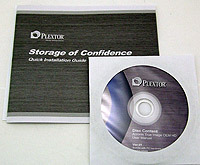 Plextor's PX-128M1S claims a 130MB/s sequential read speed and 80MB/s sequential write speed. This is about average for SSDs. Sequential read and write speeds are important for transferring or copying large files to different locations on the SSD. Random read and write speeds determine how fast the SSD can boot into Windows (for example) or load up programs. Plextor rate the PX-128M1S at 4300 I/O operations per second (IOPS) while reading, and 1800 IOPS while writing. PCSTATS will be examining the PX-128M1S's sequential and random I/O performance in these situations a little later in this review. The onboard controller is what makes or breaks an SSD, it's responsible for balancing bandwidth, latency and reliability. Early SSDs were plagued with poorly made controllers that resulted in intermittent stuttering, where the entire computer system could stall for 2-3 seconds if the controller became overloaded. Controllers from the likes of Indilinx and Intel resolved most of these teething problems, and most SSDs now deliver smooth, stutter-free performance. Plextor's PX-128M1S SSD is built around a Marvell 88SS8014-BHP2 'Da Vinci' controller, a relative newcomer to the SSD realm. Marvell's 'Da Vinci' controller has a built-in wear-leveling algorithm, which distributes write operations across the Plextor PX-128M1S's NAND flash memory. This feature prevents any one flash cell from being written to and worn down more than the others (flash cells are capable of a finite number of reads and writes) extending the life of the drive. The drive also includes standard S.M.A.R.T. diagnostic tools, which will indicate when the SSD is reaching the end of its lifespan so you'll know when to backup your data. The lifespan of this SSD is rated for 26,000 hours continuous use. The Marvell 'Da Vinci' controller also has something called native 'garbage collection'. Typically this comes in the form of TRIM support, which enables the operating system to communicate with the SSD controller. TRIM allows the controller to safely and quickly overwrite data blocks that have been flagged for deletion, rather than going through the slower process of reading them into memory, checking and modifying the data, and writing it back to flash memory. Marvell has not published much information about the 'Da Vinci' controller, so we're not sure if it supports TRIM or not. You should note that TRIM is only supported by Windows 7, Windows Server 2008 R2, and the latest versions of Linux (2.6.33). Like most SSDs, the PX-128M1S has support for Native Command Queuing (NCQ) and the Advanced Host Controller Interface (AHCI), which should be enabled for maximum performance. Note that if you are turning AHCI on you'll want to do it with a fresh install of Windows, otherwise your computer may hang or crash while booting. AHCI and NCQ are supported by most motherboards manufactured from around 2005 and onwards, and it's natively supported in Windows Vista and Windows 7. Make sure to check your hardware and OS configuration before you buy! A 3-year warranty backs up the PX-128M1S SSD, and Plextor claim it will hold up to at least 26,000 hours of sustained use. The manufacturer bundles in a copy of Acronic's True Image software, which is a decent application for disk cloning and running data backups. Now, let's get this SSD on the PCSTATS test bench and find out how it stacks up!